Now, in Shattered Dreams, Shubha Vilas narrates the riveting drama of Rama’s exile. Through tales of Rama’s unwavering and enigmatic persona, the book teaches us how to handle reversals positively; through Bharata’s actions, it teaches us to handle temptation; and through Sita’s courage, to explore beyond our comfort zone. This complicated family drama provides deep insights on how human relationships work and how they fail. With Valmiki’s Ramayana as its guiding light, Shattered Dreams deftly entwines poetic beauty from theKamba Ramayana and Ramacharitramanas, as well as folk philosophy from the Loka Pramana tales, to demonstrate how the ancient epic holds immediate relevance to modern life. Experience the ancient saga of the Ramayana like never before. I haven’t read the first book from the author, but going by the information the book has the journey of Rama, his birth and the way he was trained under Vishwamitra and the most divine part of Ramayana – his wedding with goddess Sita. We are from the 90s, we grew up watching Ramayana (without the hype and overrating), but no matter how it is explained again, I am all ears. Mainly because Ramayana doesn't have many people like Mahabharatha (that’s right, I just cannot remember names). Ramayana is one such epic where in you don’t have to possess any love for religion or spiritual power – not that it teaches you to be right, but at least it tells one that good always triumphs over the evil. 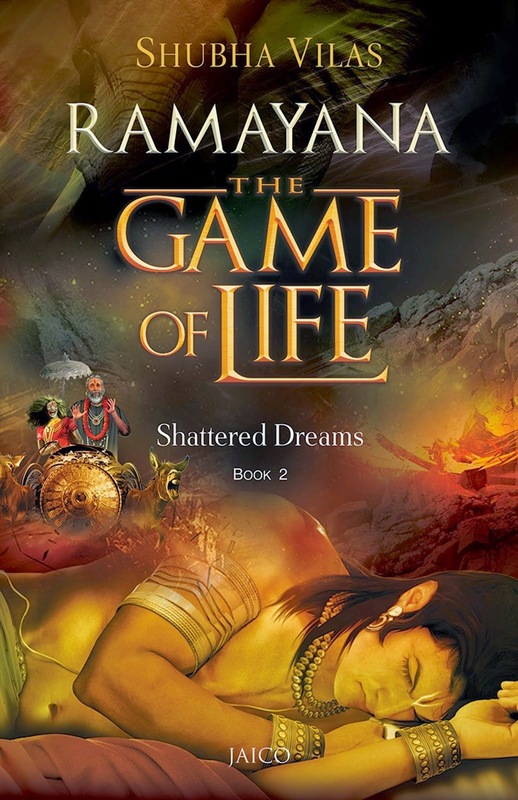 This book – Shattered dreams tells about why Rama was the one who was enthroned and not the others. I always thought that Rama was the favorite son of King Dasaratha; and author suggests the same too. But there has to be evil in the form of “shaitaan kahan hai toh bagal main” types; author explains the way Kaikeyi and Manthara ladies plan up against King Dasaratha, convince him that why it is right and already decided that Rama, has to face exile. Every chapter tells the readers, why the decisions were right and the footnotes are often extension of the same to readers on incorporating them in their life. Doing everything in the context of quoting Dharma, how far is it correct? Author expresses thoughts as to why Rama was the “right” adhering to his father’s decision of sending him away and that in turn made everyone quote him as “right”. Meanwhile is it OK not to listen to family’s advice about not to not entering the agnathavasa, stay at the kingdom and fulfill the needs of the people? Shattered dreams gets into the “I will tell you so many things in the name of righteous” at times. Al though special mention about the footnotes, most of the times these conveyed about the current scenario of the chapter and how the same should to adapted in our life. But at times, the annotations don’t even relate to the chapter in discussion and just randomly quotes about how a leader should be, what he has to do but was Rama a good leader? Was it OK to let go all his disciples in the kingdom, to let them be in ‘not-so-good-leadership’ just because he had to be right? I don’t think so. Neat narration, crisp language, and a bit stretchy; apart from the beautiful cover (which does not include Sita or Lakshmana) the footnotes have footsteps in the form of paduka. Now when you flip the pages very fast you can actually see these padukas move ahead. Most interesting find from the book has to be the reason behind the beautiful peacocks having various shades in their feathers. Now, I will not tell you guys why, for that please pick the book and have a good weekend read! Mobile manufacturing company Asus have come up with a special Valentine’s day offer. The offer is valid exclusively on Flipkart. To mark the occasion of valentines day and to showcase #UnConditionalLove they have come up with an ad. When your dreams are tainted with lies and deceit, you have no other choice but to walk to the other end of the corridor Leela has nothing extraordinary about her except the dream to become famous. Her desires take wings when she gets married to a handsome boy from a respectable family in Delhi. But her dreams are shattered even before they have a chance to take flight. She happens to meet two friends from a long forgotten past, which infuses hope and opens new avenues to realize her dormant aspirations. Leela delves into previously unexplored paths of deception and forbidden passions that only make her stronger. In an attempt to rediscover herself, she falls in love with life and with herself but her life takes a sudden turn again… No matter what, Leela will continue to chase her dreams. Where does this journey take her? This plot is about Leela and her dreams; should I say “dream”. There is a Leela in each one of us, all of us have dreams, aspirations and we also have hopes. But do we actually work towards our aspirations? What do we do to turn dreams in reality? Does having hope make us reach our goals? What is that extra mile Leela took in order to live her dream? 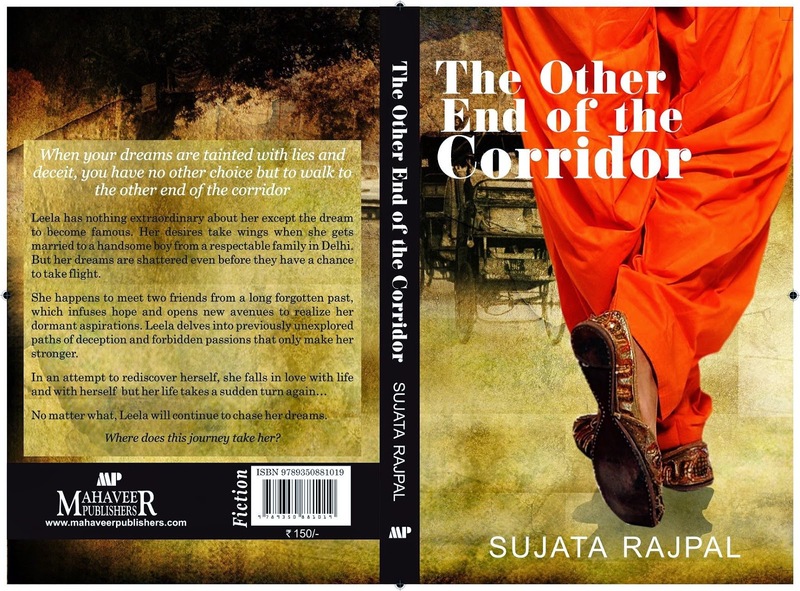 Sujata in her first novel writes about it; in terms of first efforts, I’d say author has lived up to expectations. The plot is very simple and she carefully chooses not to give it away in the blurb or anywhere else. Reader actually has no idea till he completes few chapters, but by the time reader makes a subject from the novel, Sujata has moved forward with the story into another subject. The way the story is written, for 30+ chapters, it is not boring/stretching and hence the plot is commendable. By the time I was done reading the book, I actually wondered how to summarise the plot; well you just can’t and that is the best about the story; no giveaway at all. But yet the story is very simple and it happens around us. This one is a pick that you start, don’t want to stop and complete it; for a non-thriller genre this kind of feeling is very positive.